Inspired by guerrilla knitters is this the first guerrilla lace? This torchon tie was installed on the Three businessmen who brought their own lunch; Batman Swanston and Hoddle on the corner of Bourke and Swanston streets in Melbourne. 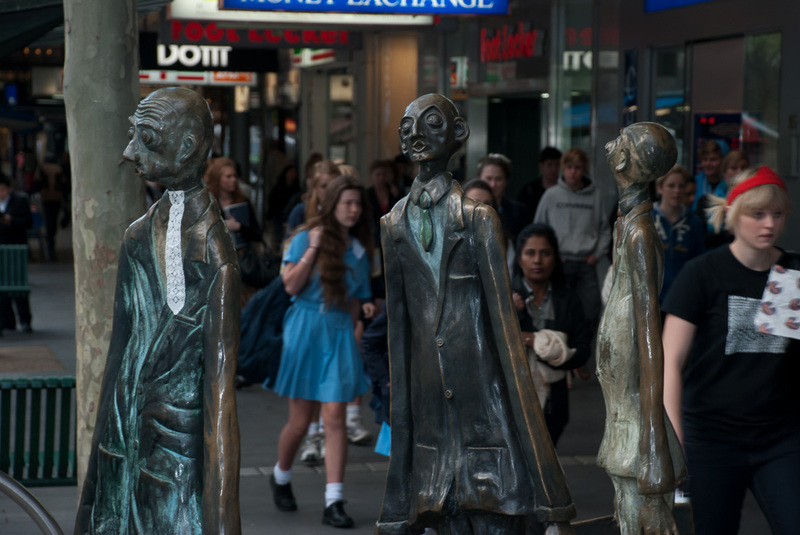 The sculpture itself was unveiled in 1994 as a gift from the people and government of Nauru and it was made by Melbourne sculptors Alison Weaver and Paul Quinn. This playful sculpture is much loved and its position and size leaves it begging for further adornments and offerings. 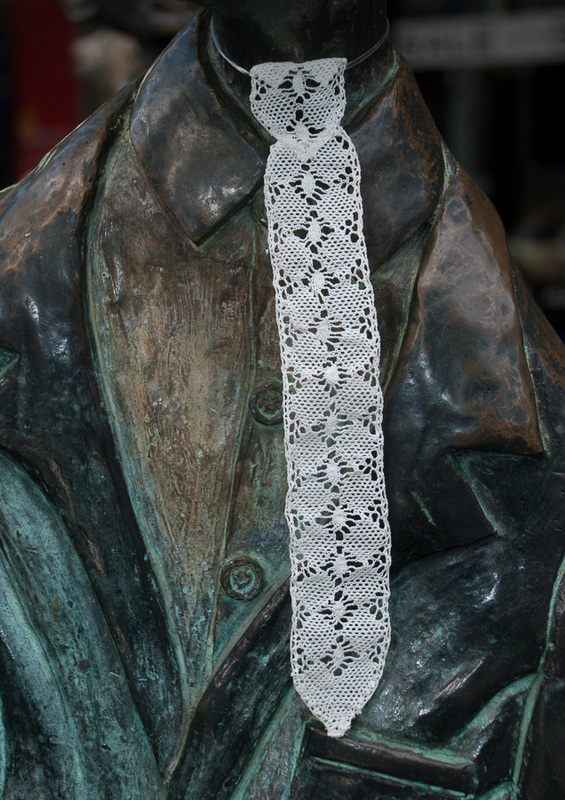 The lace tie adornment was a feature in October 2010.